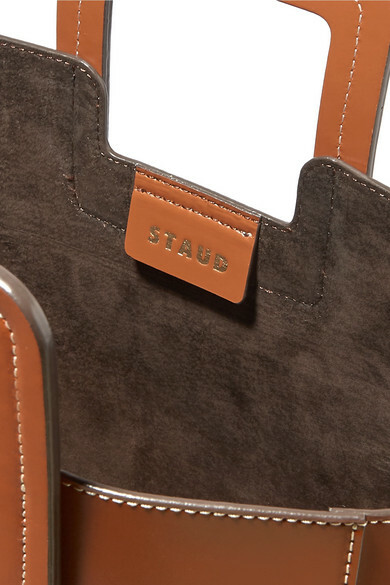 From the cult 'Bissett' bucket bag to the best-selling 'Moreau' style, STAUD's designs are always a hit, and this 'Shirley' tote certainly won't be any different. 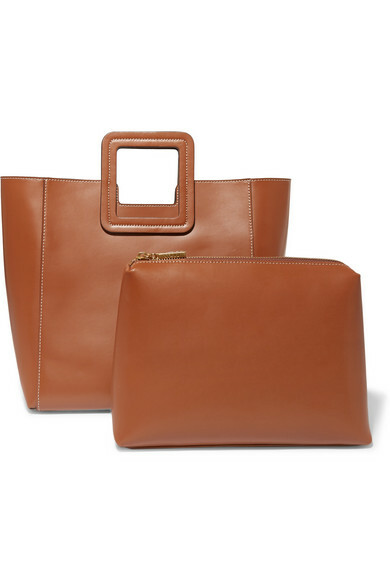 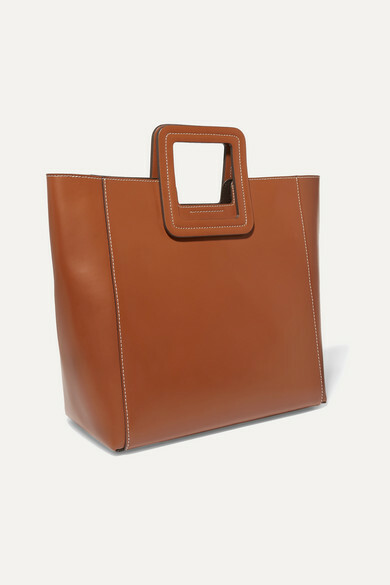 Made from smooth tan leather, it has reinforced geometric handles and contrast stitching. 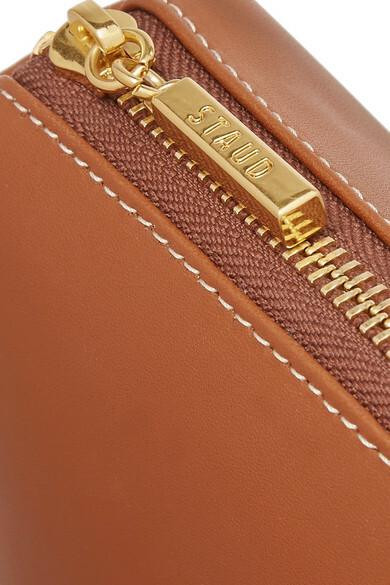 It also comes with a removable zipped pouch to keep essentials secure. 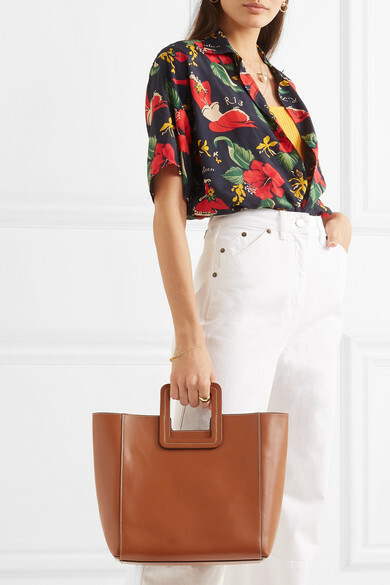 Shown here with: R13 Shirt, L.F.Markey Bodysuit, Jacquemus Jeans, Prada Sandals, Catbird Necklace, Loren Stewart Bracelet, Laura Lombardi Ring, Laura Lombardi Earrings.